Photo: Shut Up & Sit Down From the start, this role playing game is a masterpiece of a mess. There’s no DM, no characters sheets, not even any ways to win or lose. 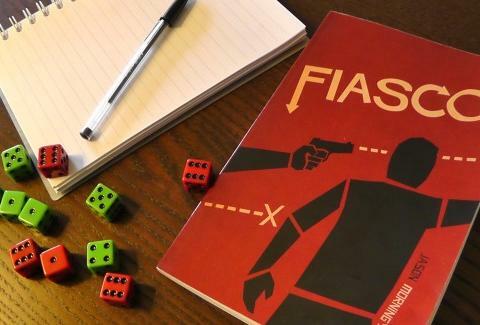 A dice roll decides who and where the players are, how you know each other, and what you want from each other, then you play out the relationships through four scenes. To ensure your plans go off the deep end, halfway through the game you roll for twists like “love rears its ugly head.” Inevitably, your cockamamie schemes get jammed up by everyone else’s cockamamie schemes, resulting in a jumbled pile of failed plots, crushed dreams, and embittered rivals. Great for weeding out buddy lists!